The recent discussion of Xi Jinping’s appointment as the “core” of the Chinese Communist Party’s collective leadership is useful in at least one respect: that the collective understanding of the event illustrates yet again the deficiencies in analyzing China’s politics from afar, and that local pressures on Beijing need to be accounted for. Perhaps the most important point to be made about the commentary thus far is how widely—even wildly—varying the significance of Xi’s elevation is seen to be. Some analysts are arguing that it’s equivalent to anointing Xi as a dictator, the equivalent of Mao and his authority. Others are insisting that this is simply a change in wording; that the naming of Xi as the core leader is merely a moniker, not carrying much meaning if only because many of his policy initiatives have yet to reach fruition. There’s also the vast and sometimes muddled middle ground, which assumes that Xi needs the title as he’s running into resistance, and that he was somehow granted the position in spite of opposition. It’s difficult to know what to make of these conclusions. Mao may have been China’s preeminent leader but all sorts of sources make it clear that he ran into pronounced political opposition at various points. Indeed, it was precisely that resistance to aspects of his rule from Mao’s lieutenants that appears to have led to Mao launching the Cultural Revolution. So, if the claim is that Xi is becoming more like Mao because he’s been elevated to “core of the leadership” [在以习近平同志为核心的党中央周围], that’s not exactly a ringing endorsement of Xi’s authority. If one wants to wonder if this approval of Xi being so-named could signal Xi’s interest in a wider political purge and his comrades’ approval that something of the sort is needed—well, that’s a different (and more valid and intriguing) question. It’s somewhat more puzzling to know how to react to those commentators and media reports who downplayed the news, insisting that the naming of Xi as “core” is really just words without real political import where Xi’s power is concerned. Words are actions in Chinese politics, especially where the leadership is concerned. That’s why party members are told to read speeches, documents, pronouncements, editorials and the like. (What’s troubling is how few analysts take the time to do so these days, and nonetheless feel free to prognosticate on what’s going on in Chinese political affairs.) Major announcements aren’t to be scoffed at, if only because party cadres don’t do that; they seek direction from such statements. Yet that’s what’s happening in some international commentaries where Xi’s elevation is concerned. Simply put, the Party wouldn't go to the trouble of making that decision at the recently concluded plenum unless it meant something major to those inside the organization at all levels. Dismissing the announcement is frankly dumb, and a disservice--at least if one wants to carry on a meaningful conversation of the current state and trajectory of politics in China. The middle ground view—that this is Xi amassing more power because he needs it, and his colleagues recognize that—misses the larger point that the audience isn’t outsiders but the Party itself. 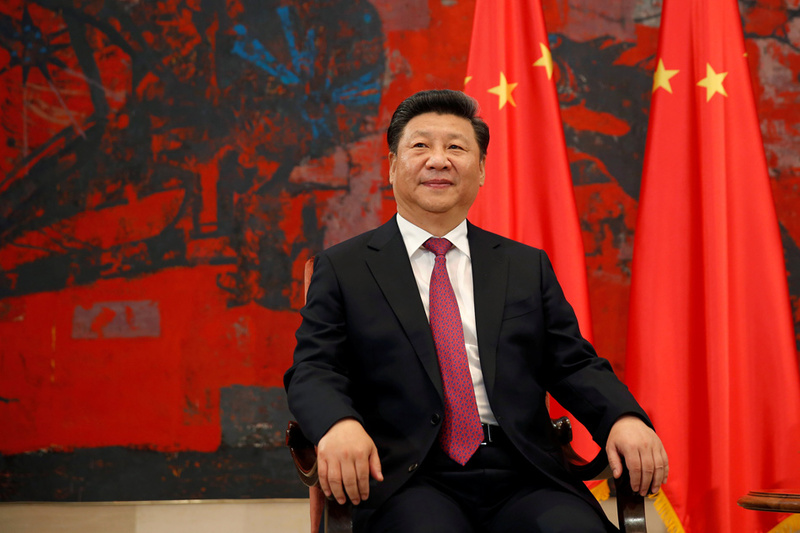 Xi has made it clear on many occasions that he sees his mandate as cleaning up the Communist party, a departure from his predecessor’s focus on stabilizing Chinese society. This naming isn’t about Xi having more power (that old shibboleth about Chinese leaders in power struggles), but being able to proceed with his policy agenda because the “core” designation means that his reforms thus far (conservative though they are) are what the Party as a whole approved at the plenum. Moreover, the title doesn't mean that Xi will get everything he wants at next year’s 19th Party Congress (how anyone can possibly know that at this stage is baffling). This is a battle over policy agendas and party lines, not who’s seeking to screw-over whom. What the designation does mean is that Xi needs lower-level cadres to recognize that it’s his programs—not anyone else’s, such as Premier Li Keqiang’s—that are to be studied and implemented, and the title of “core” gets him that. That was Central Party School senior researcher Deng Maosheng’s [邓茂生] clear message at the authoritative news conference yesterday: the title is really meant to help the current reforms because there’s too much lethargy or resistance locally [這對扭轉“上有政策、下有對策”的不良作風、對改革更加深化和順暢具有重要意義.]. A number of international media reports focused instead on the potential that Xi would stay beyond the usual two terms as Party secretary. Yet the real takeaway in Deng’s statements wasn’t the absence of dissension in the upper echelons (debatable, and he must know that ) but ongoing problems in the bureaucracy and at lower levels in accepting reforms. Local officials, for their part, have privately indicated their distress at not knowing which line in Beijing is the one they should be subscribing to: Xi’s “clean-up and discipline” campaign, or Li’s focus on investment and innovation. From their perspective, they’d like some clarity. Making Xi “core” gets them that. It’s worth mentioning that the coverage of the aforementioned news conference here in China was almost as interesting as the conference itself. While it was televised widely in-country, there’s been little official coverage in China’s domestic print and internet media thus far. So, it’s not entirely clear how “authoritative” Deng’s statements will turn out to be, and for whom precisely he was speaking. 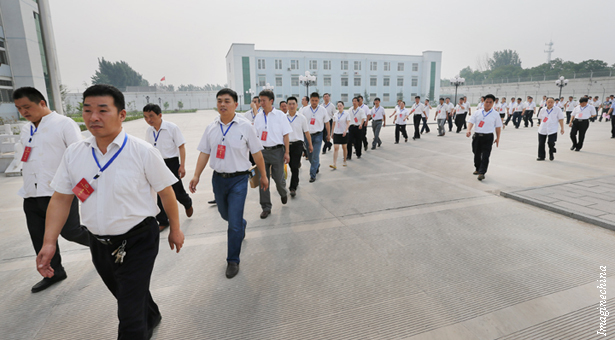 For now, the issue isn’t that Xi’s at the “core”, but what the response will be in China’s provinces and localities. That’s unknown, but worth watching for.